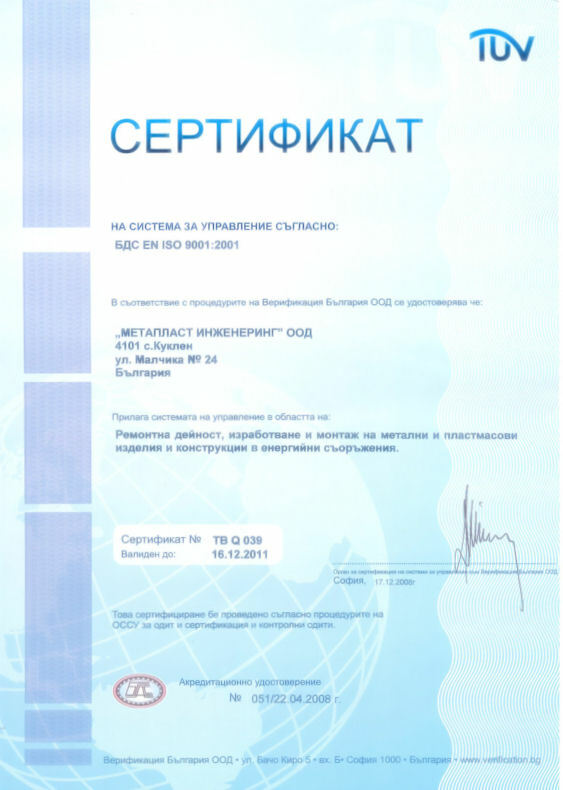 "Metaplast Engineering" Ltd. Companyhas been establishedin the town of Kuklen, Plovdiv Districtsince 2006. It develops it's business in manufacturing and welding of installations and machines from plastic and metal more than ten years. Our business partners usually are companies from heavy and light industries. Our working process is concentrated on making and creating of installations, which are used in a heavy and agressive chemical ambient. We are proud of having a number of successful projects. They includemanufacturing of containers, tracks and pipelines from plastic and metal with a pressureup to 1.6 MPa, industrial and laboratorial ventilations and aspirations, and plastic ventilators, as well. Our team experts isresponsible for constructing, creating and finalising of very delicate projects, which are used in producing and maintaining of galvanic installations and it's equipment. We have the possibility to produce scrubber, drop collector, deflectors, heaters, as well as cooler, protection of the floor by building up a facing from plastic and purification plants. "Metaplast Engineering" Ltd. Company carries out a variaty of specialised projects, which belong to different companies from science and inovation area. Our business partners trust the precision and inovation skills of our team of experts. We manage to produce and maintain high-technology equipment for a science industry. 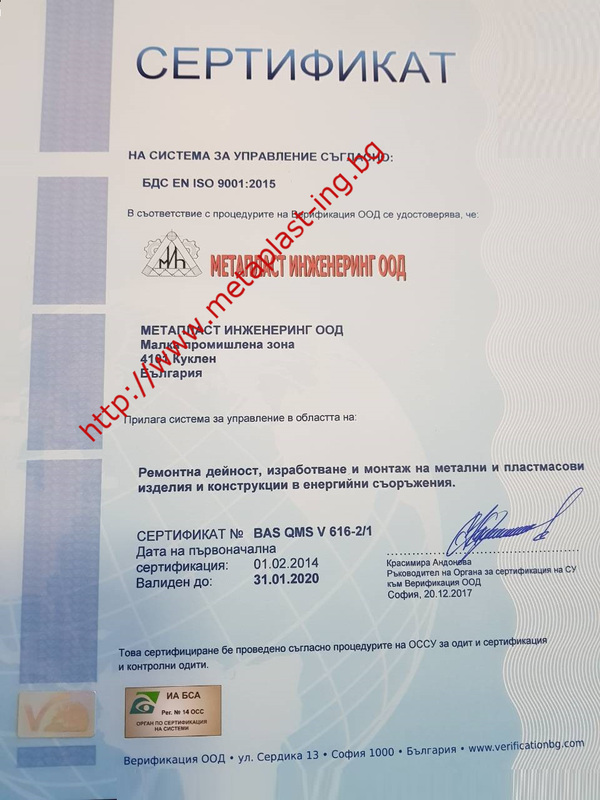 Our company has certificate of ISO 9001:2005, as well as a license from State Agency for metroligical and technical surveillance (SAMIS) for maintaining and repairing of steam and gas installations with a pressureup to 1.6 MPa.